Investigations is a misfire. It is a spectacular misfire. Investigations is the episode that pretty much single-handedly killed any chance of Star Trek: Voyager embracing long-form storytelling once and for all. The first season had enthusiastically embraced an episodic structure, but the second season had played with the idea of playing out an arc across the majority of the season. Tying together the Kazon with the idea of a traitor on Voyager and the redemption of Tom Paris, the production team decided to attempt something relatively novel for Star Trek. It is worth stressing just how experimental this kind of story was. 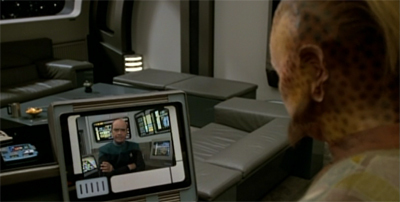 Star Trek: Deep Space Nine had played with the idea of serialisation. Threads like the Romulan and Cardassian invasion of the Gamma Quadrant were carefully seeded through episodes like Defiant and Visionary, but there was not the same tension and momentum afforded to the arcs of Michael Jonas and Tom Paris in the second season. The Romulans and the Cardassians were not discussed in every episode leading up to Improbable Cause and The Die is Cast. At the same time, Deep Space Nine eased into serialisation in a way that allowed for failures and miscalculations that did not publicly humiliate the show. Bajoran politics could be quietly eased into the background when they weren’t quite working, characters like Primmin and T’Rul could be dropped when they weren’t what the show needed. The second season of Voyager was perhaps a bit too bold in its attempts at long-form storytelling, creating a situation where there was no way to pull back from an arc that wasn’t working. It became quite clear early on that the Paris and Jonas arc was not working. Episodes like Threshold and Dreadnought ground to a halt so that the audience could get yet another scene of Jonas selling out Voyager to the Kazon; treachery that never seemed to actually go anywhere. At the same time, Paris’ rebellious behaviour was tackled in a superficial manner in episodes like Meld and Lifesigns, with no real exploration of the interesting side of such a sting operation. Investigations serves to bring the arc to a close, but in a manner that feels perfunctory rather than compelling. It is resolved out of a sense of tired desperation rather than any real inspiration. There is a feeling that the production team have determined this to be a failed experiment, of which they will never speak again. See? I told you EVERYBODY’s thought about it. Of course, that is not technically true. 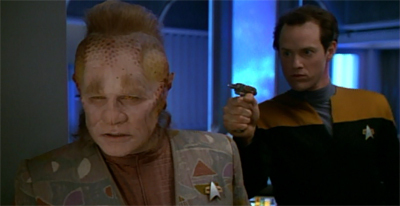 The Kazon arc does build towards Basics, Part I and Basics, Part II. The Kazon arc is more than just the six episodes produced (and the seven episodes broadcast) between Alliances and Investigations. It extends back to at last Maneouvres, if not further to State of Flux. It is an arc that is largely anchored in the character of Seska and in the recurring threat posed by the Kazon (specifically the Kazon-Nistrim) to Voyager and its crew. The arc arguably ends with Seska dead and Maj Cullah retreating with his son. After all, Lifesigns revealed that Seska’s endgame was a plot to take control of Voyager; she did not plan to spend the rest of her life living in squalor with the Kazon-Nistrim. That plan is almost executed in Investigations, but is foiled at the last-minute thanks to the intervention of Neelix and Paris. Nevertheless, Seska’s plan to hijack Voyager is ultimately successfully executed in Basics, Part I. Perhaps that episode would have been the logical end point to this particular story arc. It seems like that might have been a more satisfying conclusion to the arc of Michael Jonas and that of Tom Paris. After all, Michael Piller works hard to get Tom Paris off the ship in Basics, Part I so that he might become a vital part of rescuing it in Basics, Part II. Certainly, the Kazon plot to hijack Voyager in Basics, Part I would make a lot more sense if it were enacted with the assistance of an inside man. The fact that Janeway is utterly unprepared for a Kazon plot to hijack Voyager in Basics, Part I suggests that she learned absolutely nothing from Investigations. Then again, that would require a somewhat looser season arc. It seems like the production team committed wholeheartedly to a very rigid and structured form of serialisation for the Kazon plot when the show would have benefited from a looser and more improvisational approach. The audience doesn’t need to see Michael Jonas betray his crewmates in what feels like every episode between his first and final appearances; the viewers don’t need to be taken out of otherwise unrelated stories to be awkwardly reminded that Tom Paris is a bit of a jerk. That is certainly commendable, but it does seem rather shortsighted. Story arcs are not inherently good or bad; they are simply a tool that can be used for good or ill. 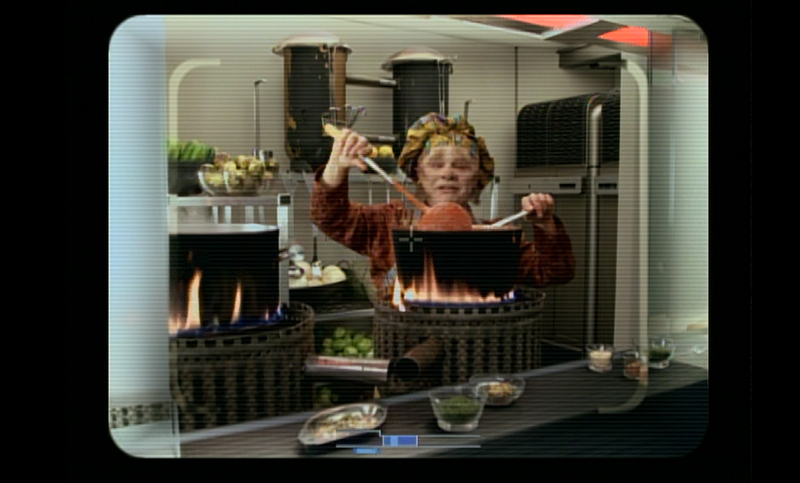 However, Piller’s urge to modernise Voyager was coupled with some truly terrible storytelling choices. Nobody talks about the pacing or structure of Tattoo, because Tattoo is one of the most offensive Star Trek stories ever told. Similarly, the attempt to construct a storytelling arc across the second season was ambitious and exciting, but its subject matter was ill-advised and its execution was disastrous. The problem with the second season is not the idea of telling a long-form story, but how the production team chose to tell this particular long-form story. It wasn’t really planned out in conjunction with the network who schedules the shows. So you saw this whole big thing where Paris gets thrown in the brig last week on Lifesigns – certainly tantalizing – and next week there is a repeat. And I think there might have been a repeat the week after that. So it’s going to be three weeks or so before this gets resolved and before you find out what the hell is going on. It is a very simple error, but one that might have been helped with a little preparation or consideration. The production team seemed to have done very little planning around the arc; after all, Death Wish was produced before the arc began and broadcast in the middle of it. Even the creative choices about the arc felt clumsy. The Kazon are a decidedly misbegotten Star Trek alien. They are a misguided creation at best, a racial caricature at worst. They are former slaves who has become intergalactic gangbangers, savages perpetrating random violence against more civilised people. It is astounding that nobody on the production team could see the unfortunate subtext of these creative choices. For a franchise that claimed to be progressive, Star Trek could occasionally have massive blind spots. More than that, though, the Kazon simply are not interesting. The design of the Kazon makes them feel like knock-off Klingons, with their browned skin and their distinctive forehead ridges. They are yet another generic “warrior culture” in a franchise that is populated with better (and more defined) examples. The emphasis on the primitive nature of the Kazon makes them seem more pitiable than predatory; the failed transporter experiment in State of Flux suggests that Janeway probably should be helping a people this desperate. So basing an entire arc around the Kazon was a bad idea. However, that problem is compounded by the decision to pair it with “Paris as an anti-hero.” Again, there is a sense that Michael Piller is an influence here. Piller was very fond of the idea of Paris as a rebel, as emphasised with his portrayal of the character in first season episodes like The Cloud and Ex Post Facto. The problem is that Piller was alone in his enthusiasm; Jeri Taylor and Robert Duncan McNeill were both unsatisfied with this take on Paris. Michael Piller very clearly wanted a version of Paris with a harder edge to him than the show would allow. In The Cloud, Paris is able to sneak into Harry’s bedroom using a trick that he picked up in prison; although Paris is not guilty of murder in Ex Post Facto, the episode suggests that Paris did have an affair with a married woman while on a diplomatic mission. However, these aspects of Paris were pushed to the background when Piller left Voyager to work on Legend. It feels like Piller is trying to resurrect them. 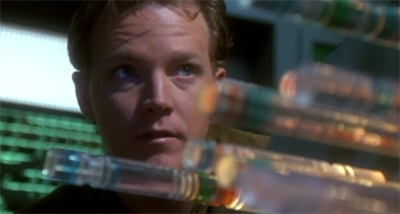 Watching McNeill’s performance in the second season, it never seems like he is entirely comfortable with the idea of playing Tom Paris as a lovable rogue. Then again, there are some rather questionable choices about what the arc chooses to show the audience. The arc is largely about identifying a traitor on Voyager, so it makes sense that there would be mystery and subterfuge on board. However, the show decides to reveal the identity of the spy immediately to the audience, but conceal the nature of Paris’ deception. The audience knows that Michael Jonas is a traitor long before Janeway and Tuvok, but has to wait until much later to figure out exactly what Paris is doing. This is a risky storytelling gamble. It is always difficult to manage plot-sensitive information in storytelling; it is a very delicate operation to tell a story where the audience and the characters are working with a different level of knowledge. 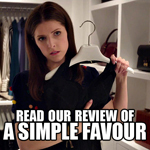 Giving the audience more information than the characters can make the characters look dumb; giving the characters more information than the audience can seem like a cheap effort to preserve a lazy twist. The second season arc manages both; the audience knows more about Jonas than Janeway and Tuvok do, but less about Paris. That decision makes little real sense. The only suspense to be wrung from the story arc is the identity of the traitor. The idea of hunting for a traitor on the ship might add a layer of excitement to the story. Sure, Voyager doesn’t really have a deep enough supporting cast to play “find the mole” with the audience, but a little groundwork would go a long way. As it stands, we don’t know enough about Jonas to care about (or even understand) his betrayal. Imagine if Jonas and Hogan were well-rounded characters; throw in Carey, and there is a palpable threat. The decision to preserve the mystery around Paris’ insubordination is just as perplexing. After all, Robert Duncan McNeill is a credited regular on a Star Trek show; there is never any real possibility that he is going anywhere in the middle of a season. His behaviour is decidedly out of character, particularly given his character arc in Threshold itself. The sequences of Paris acting like a jerk towards Chakotay feel bizarre out of context, with neither character defined well enough to make this strange reversal compelling viewing. The real drama around Paris should be anchored in character rather than plot. The audience is shrewd enough to know that this is just temporary. Why is Paris doing this? Is he really willing to throw away all the good will that he has generated? How do his fellow officers feel about the lie that was perpetrated against them? Can Harry ever trust Tom again? More to the point, why did Janeway and Tuvok decide to keep the ruse a secret from the senior staff, particularly Chakotay? Now there is the story. Never mind that Tuvok jumped right on the “it must be a Maquis, it could never be a Starfleet officer” train of thought. Janeway appointed Chakotay to serve as her first officer; that is a position that requires trust between both parties. Janeway’s willingness to sacrifice that for “a good performance” violates that trust in an incredibly profound manner. 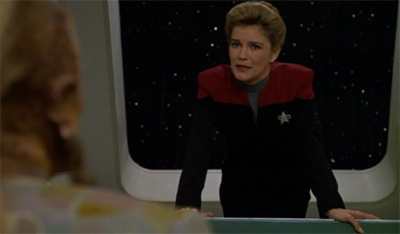 It suggests that all the schisms between the Maquis and the Starfleet crew should be torn open; despite what she might claim, Janeway doesn’t trust Chakotay or his crew. More than that, this should profoundly affect Chakotay as a character. Chakotay’s biggest character arc on Voyager is his relationship to Seska; he trusted Seska, and she violated that trust in the most horrific manner possible. Chakotay should be wary of trusting anybody else after that, and so having Janeway so cavalierly violate the terms of the alliance between the two crews should make Chakotay deeply uneasy. This is the moment that Janeway and Chakotay should be addressing in Resolutions. Even aside from Chakotay, Tom Paris looked into the eyes of his friends and lied to them. He played along with Torres in Dreadnought; he bid farewell to Harry without telling him the truth in Investigations. Even allowing for the fact that the Star Trek franchise has difficulties portraying interpersonal conflict, it is hard to believe that everybody went back to being friends at the start of the very next episode. There have to be consequences for this sort of decision, if it is to have any weight. Instead, Investigations shrugs all of that offer with a trite closing scene. “So, I’d like to apologise to anyone that I might have offended,” Paris announces to the crew in a post-espionage public interview. “Especially Commander Chakotay. I gave him a pretty hard time. 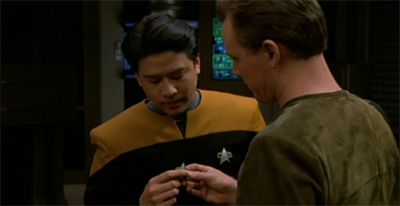 Not that it wasn’t a certain amount of fun, mind you.” Neelix describes him as “the true hero of this whole endeavour.” Apparently that is all that it takes to tie this up in a neat little bow, so Voyager can go on about its business. This is arguably the biggest problem with Investigations. 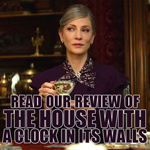 For an episode that is designed to push a story arc to its head, it is decidedly episodic in nature. Everything is resolved so tidily that it never needs to be mentioned again. 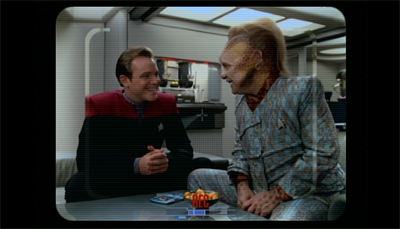 “A Briefing with Neelix” is arguably the most obvious example. Although it is a massive part of the plot of Investigations, it only fleetingly reappears in Microcosm. 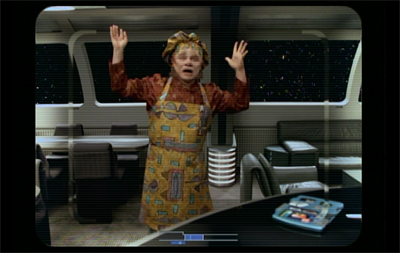 Outside of that brief second appearance, Voyager never even mentions Neelix’s morning show again. 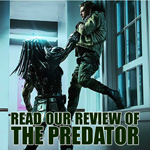 The script is a choppy mess, with contrived events unfolding as the plot needs them rather than in an organic fashion. 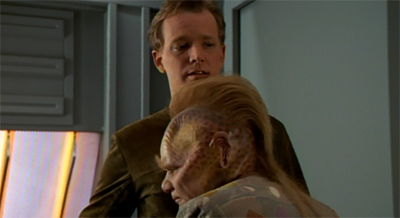 The teaser not only introduces the concept of “A Briefing with Neelix”, but has Harry tease Neelix about “all the frosting” before telling Neelix that it is “the job of a journalist to be independent.” All of these points become immediately relevant when Neelix receives a communication that spurs the plot to action by revealing that Tom Paris is leaving the ship. 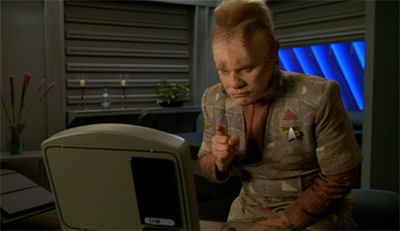 Given that the show has given us several consecutive episodes of Jonas talking to the Kazon and Paris acting like a jerk, it seems weird that Voyager could not set up Neelix’s journalistic endeavours a few episodes in advance so it doesn’t feel like a transparent set-up to move this particular plot along. Neelix suddenly decides to become a journalist because the plot for Investigations requires a journalist, and then forgets about his journalistic career by the time the teaser for Deadlock rolls around. In a way, “A Briefing With Neelix” is a perfect example of the problems with the episodic storytelling on Voyager, where it seemed like the primary cast were little more than puppets for whatever the writers wanted to handle at that particular point in time. The characters could change dramatically from week-to-week, safe in the knowledge that everything would be back to normal by the start of the next episode. 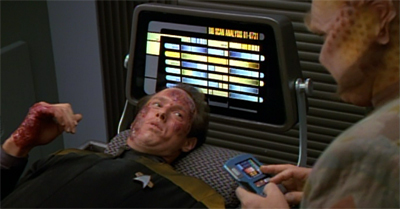 The “reset button” applies as much to the storytelling involving the characters on Voyager as it does to plot points or story arcs. We’ll always have holodeck one. To be fair to Piller, there is an interesting idea there. It is fun to imagine Voyager doing “found footage” years before The Blair Witch would popularise the concept. In fact, it fits with the more experimental use of perspective in the teaser to Prototype; offering the audience a unique perspective. Who wouldn’t want to wake up to Neelix piped directly into their quarters? 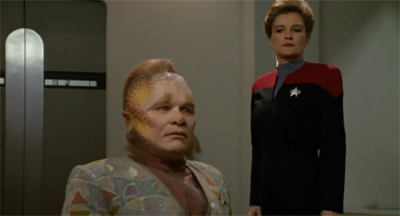 Nevertheless, while the idea of doing a show entirely from the perspective of “A Briefing with Neelix” is intriguing and bold, it was a complete miscalculation to try to do this particular story from the perspective of a character who is not really tied into the larger arc. As with a lot of the decisions that Michael Piller made during the second season, it feels like the idea itself is fundamentally sound, but that the implementation of the idea is disastrous. It seems like Michael Piller was trying to make the show afraid of trying new things by doing them in the worst possible way. This change obviously put the production team under a bit of pressure. Investigations feels like it is held together by nothing more than the need to get something on television. There are a whole host of logical and plotting problems throughout the episode, as Jeri Taylor’s teleplay seems be going through the motions. Paris redeems himself, Jonas is killed; order is restored. There is no sense of enthusiasm or excitement about any of this, no energy or verve. Taylor’s script just seems happy to be able to put all of this behind her. So there is some hazy internal logic. The editing of the episode makes it seem like Paris has been hunched over a monitor on the Kazon ship for days, looking for the face of Michael Jonas. His escape from the Kazon seems contrived and convenient; how close is Voyager to the Kazon ship? More than that, what was the plan here? Paris’ infiltration and extraction seems ridiculously high-risk; the odds of the plan succeeding seem ridiculously low, relying on Paris being able to hack into Kazon computers and escape a Kazon ship with no assistance from Voyager. Part of the problem is the awkwardness of trying to stitch together a story about Neelix as a journalist with a story about Paris as a spy. Either story might be interesting on their own merits, but the end result is decidedly unsatisfying. The two stories do not mesh well together, with the episode’s tone varying wildly from scene to scene. 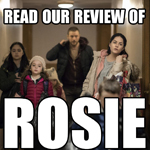 The script never seems sure if it is aiming for goofy comedy, day-in-the-life, or tense high-stakes thriller; as a result, it doesn’t get to do any of these particularly well. In hindsight, it is a shame that Investigations failed so spectacularly. Coupled with Alliances, Investigations made it very clear that the next five seasons would be largely episodic in structure and tone. The episode was so severe a misfire that it scared the creative team away from trying anything like this in future; once burnt, forever shy. 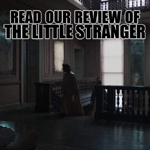 As such, Investigations is more than just a failure as an individual episode or as the conclusion of an arc; it is the episode that helped to put a nail in the coffin of Voyager as a show willing to try something new and exciting. In the aftermath, it seemed like the protocol was one of damage control. “I’m hoping it doesn’t damage us,” Kenneth Biller admitted to Cinefantastique. 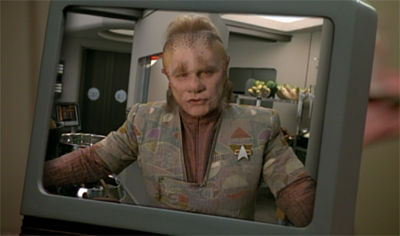 “A Briefing with Neelix” could be a real four-quadrant hit. Investigations was the episode that made it clear Voyager would not be experimenting or innovating going forward, by failing so spectacularly and so publicly as an example of Voyager experimenting and innovating. That is a more profound sort of failure than any to which Threshold might ever aspire. >There was a week break in the broadcast schedule between Lifesigns and Investigations, somewhat breaking the momentum of the arc on original broadcast. More than that – this episode debuted on a Wednesday night rather than a Monday! UPN used “Investigations” to boldly introduce their official 3rd night of programming. And who wouldn’t change their viewing practices in order to catch the thrilling(?) conclusion to the intriguing(?) Michael Jonas sub-plot? Darren, the single most interesting thing I’ve learned from your blogging is about Michael Piller’s contributions to Trek. He seemed to come in right when the franchise needed him to save it, yet stayed past the point where he was what the franchise required. It’s frustrating not only to see how poor his Voyager work was but to see the combativeness of his co-writers (particularly Taylor). Even if he had brought good ideas to the series, what hope would they have when produced by writers who didn’t believe in them? At this point in time I could sense the differences between DS9 and Voyager but couldn’t understand why the two shows struck me in the ways they did. Probably a large part of it was Piller and his staff of reluctant collaborators versus Behr and his TEAM of writers. Thanks Michael. I’m kinda dreading moving past the season two reviews, because Voyager becomes a lot less turbulent and a lot blander after that point. And i say that as somebody who really likes the third and fourth seasons, despite their flaws. Reading interviews with the DS9 staff makes it clear that everybody loved one another. Reading interviews with the Voyager staff… well. Would like to know what happened behind the scenes that caused “Unity” to be made. Bring back the Borg for sweeps seemed like a good idea, but it seems like the writers didn’t realize they were suppose to make it exciting. Whatever happened afterward resulting in the scrapping of their planned 2 parter episode (I don’t even know what those episodes would have been about), and instead they wrote Scorpion. Allegedly – and perhaps unsurprisingly – I believe a lot of the Borg stuff came from Braga. Not sure about Unity though, but I think Braga pushed for Voyager’s version of the Borg more than Taylor. Which arguably makes sense, as I’d argue the Borg really don’t come off the rails until around the fifth season, when Braga takes over the post of executive producer. I don’t mind standalone episodes. 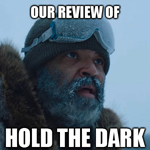 But reviewing this again, it feels like this was Star Trek’s last stab at cultural relevancy. Everything from here out is “Post-Connery Bond”: Taking notes from popular movies and injecting those concepts (somewhat) haphazardly into the Trek formula. I say this cautiously, because Voyager really is revered. It might be more popular now than it ever was. And a lot of it has to do with aiming the show at “millennials”, kids who grew up in the late nineties. Kids don’t want nuance. It’s strange, the re-evaluation of Voyager. 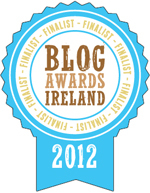 It has won several high-profile “best of” polls, hasn’t it? Yeah, along with much unreserved love for Neelix! Sign of the times, I think. At the time, introducing Barney the Dinosaur into Star Trek was considered a bad move. Whereas iIn the age of deconstructed and blood-soaked super “heroes”, we could do with more Ethan Phillipses. 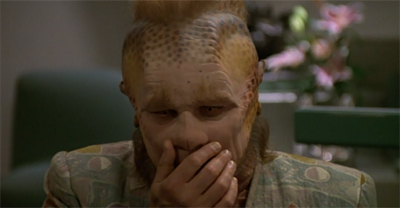 Why have Neelix be the one who discovers the truth about what is going on. The writers could have had Harry Kim looking into why his supposed best friend was suddenly acting so strangely, and stumbling upon the conspiracy. This could have led to character growth, as he would realize that his superiors are not always honest to him or to one another. 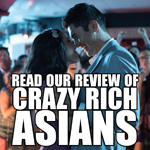 We could have seen a new more cynical version of Harry, and as seen with Timeless, Garrett Wang is excellent at playing a bitter person. I just love how accepting Harry is about all of this. Robert Beltran greatly disliked the way Chakotay wasn’t included in Janeway and Tuvok’s plan; he was just informed of it. Chakotay had a right to feel betrayed. Lifesigns was made after Investigations but transmitted before. Talk about confused! It’s a wonder the actors could keep up with what they were supposed to be playing – is Tom very rebellious or just a little rebellious?! A Briefing With Neelix – you remembered Darren! 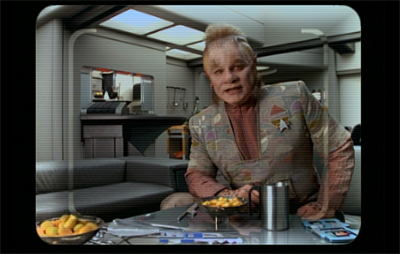 You always called it A Breakfast With Neelix before. Personally, I like the second title Good Morning Voyager more (even if it is a shameless steal of Good Morning Vietnam) but I did wonder myself what happened to it after Macrocosm. I like the idea of Seven at Nine in the morning. That’s a programme I’d tune into. Neelix is closer to the crew then Tuvok who keeps them at a distance, and that may have been why Neelix’s investigations produced results more then Tuvok’s did. Who knows? We may not have needed Tom’s arc if they had gone with Neelix from the start rather then Janeway and Tuvok’s cloak and dagger games. This whole arc just shows how inorganic the show was, it went about the concept of going into an arc backwards. Here, there’s an arc, this is what the writers say it is, if they stumble along anything interesting, ignore it if it isn’t part of the plan. DS9 had the vaguest plan, but kept their eye out for something interesting then incorporated it into what was going on. It didn’t even need to be a story arc, just a character one. Dr. Bashir didn’t have a grand story, just a few episodes exploring his personality based on things they picked up, like they could have done with lots of people especially Chakotay with his constant betrayals. An episde where it has an effect, where he’s stuck with someone who betrayed him because he doesn’t trust them any more for example. I guess it’s part of the experiment to have failures, the best shows around the last few years, the Breaking Bads, The Game of Thrones’ all do course correction when they need to, they seem more open to collaborating and new ideas than the, frankly toxic Voyager writers’ room. Yep. I think there’s also something to be said for arc-based storytelling that is driven by characters rather than plot. As in “there’s this side of the character we want to explore” rather than “there’s this thing we want to have happen.” I tend to think that the former leads to more satisfying storytelling, seen as audiences tend to engage with (and follow) characters. Voyager’s second season arc is driven by plot, and so it reduces and diminishes the characters at a point when it should be building them.